Dr. Agarwal has immense experience as an Oncologist in treating all types of Cancer patients in leading centers in Northern India. As a Professor of Medical Oncology, he specializes in breast conservation surgery, even in sentinel node biopsy and breast reconstruction. He has acquired specialized training in Surgical Oncology from Tata Memorial Hospital; Mumbai Dr. Agarwal has been practicing as a Surgical Oncologist across various hospitals in Delhi. He has over 35 years of experience of satisfied patients in his field. His profound knowledge, experience, and seniority in the field of Surgical Oncology have gained his name, fame, and recognition. He is also an invited faculty member at various conferences. He was an invited faculty in The International Conference on Palliative Care organized By Vatican, Rome & presented a paper on Palliative Care in Hindu Context, 2004. 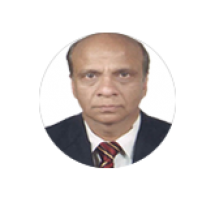 He was also a Senior Consultant at Sir Ganga Ram Hospital, New Delhi and Cancer Surgery and a Senior Resident and Safdarjung Hospital, Delhi.